Hiring Workers’ Comp Attorney Before It’s Too Late Pays Off | Holland & Usry, P.A. I see it all the time. 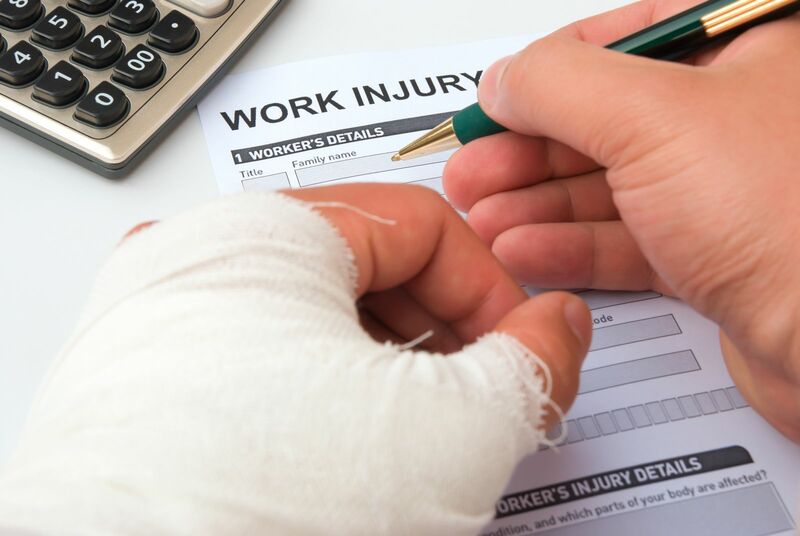 Devoted employees who suffer serious work injuries are reluctant to hire a workers’ compensation lawyer because they think it makes them appear disloyal to the company. The first thing to remember is it’s usually not the company who’s paying benefits—it’s an insurance company. And your company loyalty can hurt you by helping the insurance company shortchange you or deny your medical benefits. Consider Chad’s case that almost ended in disaster. Chad found me after seeing my client reviews on the internet. By then, he was at the end of his rope and nearly out of time in his SC workers’ comp case. Chad suffered a horrible low back and leg injury working for a freight moving company. As he attempted to move a huge pallet of freight weighing around a ton, it began to fall over on him. He spun around violently to grab it as it fell and pushed it back. When he did that, he felt and heard his back pop. By the time he got to me, he’d been dealing with unrelenting agony in his low back, right hip, and right leg. The pain was accompanied by leg weakness, numbness, and tingling. Ten months of treatment left it largely untouched. But for Chad, his case was much worse than that. Going it alone had gotten Chad nowhere. A neurosurgeon found nothing obviously requiring an operation, so he sent Chad to pain management. The pain management doctor provided little help despite a serious of shots and narcotic medication. And Chad was the victim of a false positive drug test given by the doctor! Worst of all, the doctor was on the verge of releasing him despite profound pain and a visible limp. The insurance company was preparing to wipe its hands clean of Chad, moving toward closing his case, while he suffered for life. Chad knew he needed help. That’s when he came to me. I convinced the insurance adjuster to authorize a second opinion for Chad’s low back injury, sending him back to the neurosurgeon who saw him initially. I got Chad to get a clean drug test, proving he wasn’t a drug user. Things finally began to develop positively for Chad when he returned to the neurosurgeon. Long story short, the surgeon eventually discovered Chad suffered a large ruptured, or herniated, lumbar spinal disc. The doctor ordered a serious back operation, an L5-S1 open decompressive laminectomy. Once the surgeon got into Chad’s spine, he realized Chad’s L5-S1 nerve was crushed. When Chad got to maximum medical improvement, the neurosurgeon ordered a functional capacity evaluation (FCE) to help set his impairment rating and work restrictions. We felt the impairment rating and the FCE understated Chad’s limitations. Most concerning, the doctor didn’t find Chad’s low back injury affected his legs. Under South Carolina's "two injury rule," this could potentially cost Chad extra benefits he really needed such as permanent and total disability or wage loss. As a result, I took the unusual step of getting Chad another second opinion, called an independent medical exam, to reevaluate his rating and determine whether the back injury affected the leg. I referred Chad to a reputable neurosurgeon. That neurosurgeon agreed with the rating but made it clear the low back injury affected the leg. This was a tremendous help to Chad’s case. But we still needed another piece of the puzzle. To further qualify him for those extra benefits, I also referred him for a vocational evaluation. The vocational evaluator agreed the FCE overstated Chad’s work abilities. Because of Chad’s physical limitations, which included a gravely limited ability to lift, sit, or stand, the vocational evaluator concluded he could actually be declared permanently and totally disabled. Armed with this information, we were able to get the case settled at mediation. We obtained a settlement achieving Chad’s goal: to preserve the financial stability of his family. Both Chad and his wife were thrilled and relieved. I could tell Chad was extremely grateful he’d stepped aside to let a professional handle a problem he just couldn’t. Best of all, it worked out extremely well for him. The moral of the story is simple: if you’re badly hurt at work, not using a lawyer may demonstrate company loyalty, but don’t expect it to help. I’m thankful Chad got to us in time to alter his flight pattern after flying solo went nowhere.